Ravenwood's Lullaby, aka Lola has a great work ethic and wants to please. She has a calm temperament making her a suitable house dog. Pictures below are of Lola working with handler, Parker Maddox. 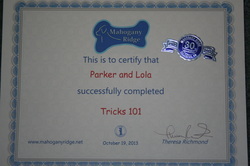 Parker and Lola successfully completed Tricks 101. 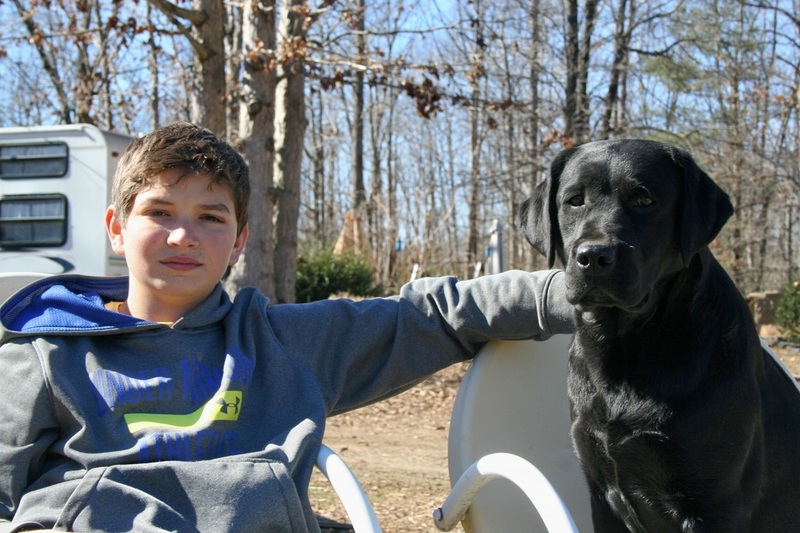 On November 16, 2013, Lola successfully earned her CGC at 1 year of age, with Parker Maddox handling her. In 2014, they began training in Nose Work and agility. Lola is agile and has tremendous self control. April 2015, Lola had her first litter. These pups turned out to have phenomenal dispositions and beautiful blocky heads. All the pups adapted well to their new homes with confidence. Lola at 14 months of age. One of Lola's pups, Mia. Born 4/2015.